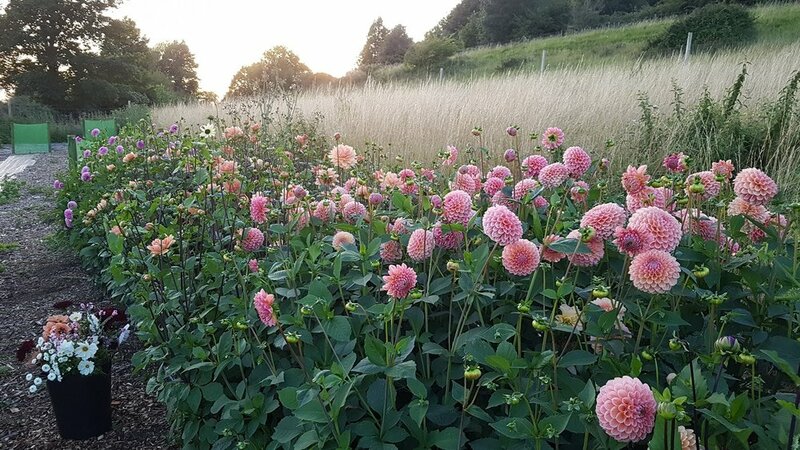 Beautiful British cut flowers, grown in tune with the seasons on our hillside flower farm between Bristol and Bath. All our flowers are just as nature intended and are freshly cut to order for our florists, cut-flower workshops, weddings, and anyone who appreciates a naturally grown floral aesthetic. We believe that everyone can bring a little bit of nature into their homes whilst also helping to support local wildlife, biodiversity, sustainability & local independent businesses. Our main business at Pipley is wholesale supply of freshly cut flowers and foliages for florists. Please visit the Flowers for Florists page to see what we can do for you. We hold regular workshops and courses between Bristol and Bath as well as taking private bookings for hen parties, businesses and individuals. 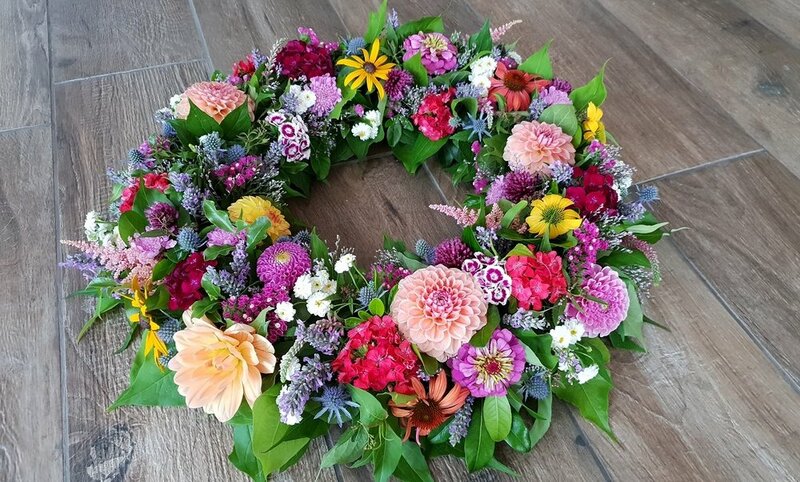 Topics include floristry skills, Christmas wreath making and we collaborate with other selected creatives to offer related classes from time to time. 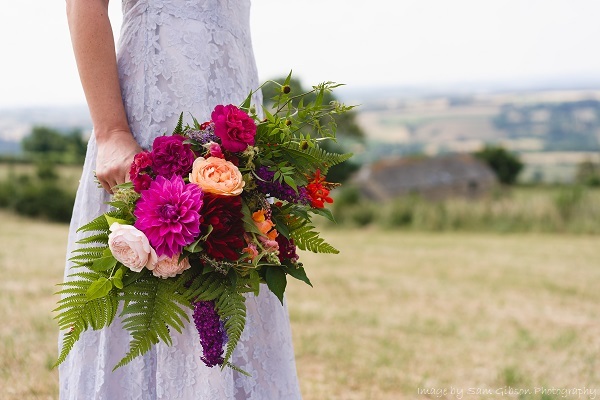 If you’re looking for beautiful, natural wedding flowers then we would love to hear from you. We only do a few weddings a year so you can be sure of our best attention. Visit the weddings page for full information. Funeral work is particularly special to us. Let us help you to say goodbye with arrangements that really mean something. Click here for more information.